As the voice design revolution continues to gather speed, the demand for expertise in this field is growing. But how does one get into voice design? 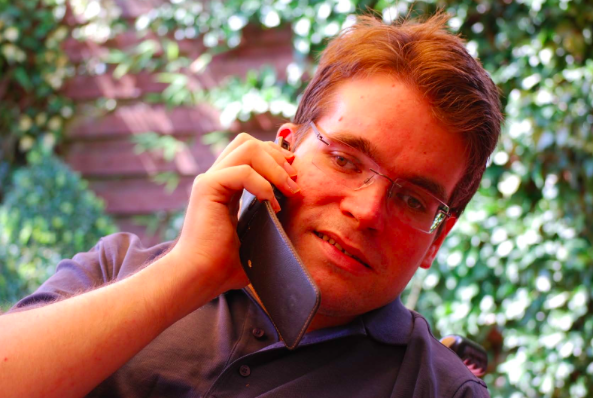 We caught up with Steffen Prey, an Alexa Skills Developer and all-round voice expert, to learn more about the field and how he ended up designing an Alexa Skill for a visually impaired blogger. So, Steffen, tell us about yourself! I am a trained journalist with a high affinity for technology and IT. Therefore I have been working as an online editor, IT consultant and supporter for many years. Working independently in my home office in Hamburg is just perfect for me because I am considered severely handicapped and have been dependent on a wheelchair since birth. However, this did not harm my language skills. Otherwise, Alexa would not be able to understand me so well. I know you developed a skill for a German visually impaired vlogger who goes by the name of YPSILON. Can you tell us a bit about this project? I’ve always been fascinated by YPSILON, a blind vlogger. She is open, likable, and authentic, and what she does is really important. Although I had never had much contact with blind people before, it was immediately apparent to me that language also plays an extraordinary role here as a primary means of communication.Thus, I could instantly imagine how smart voice assistants for blind and visually impaired people could be a real milestone in terms of independence and comfort in everyday life. Of course, this also includes being able to access particular audio content by voice command at any time. So I formatted the audio content of her YouTube videos in the context of the skill for Alexa. The success of the skill and the feedback from users show that I was spot on with my assessment of the added value for blind and visually impaired people. How did you get into developing Alexa Skills? I’ve always been fascinated by voice assistants and the sheer range of potential applications. After the simple application, the desire arose to create something myself and to help not only me, but also other people with disabilities. Amazon offers me the best possibilities with Alexa. As a developer, you can achieve a lot with little effort. The result is a rapid sense of achievement with the motivation to continue. What have you already developed for yourself and for customers? So far, I have already designed and developed Skills for radio stations, implemented voice adaptations of YouTube videos, and turned classic podcasts into skills. It’s great to show other people all the new possibilities that voice assistants can offer. As a person living with certain restrictions, to what extent has Alexa changed your life? In my particular situation, language and writing have always been the most important communication channels. That’s why intelligent voice assistants are the perfect everyday helper for me. They help me to compensate for the disadvantages of my disability and to be able to participate better in life. For example, if I can switch on or dim my lamps by voice command, this makes my everyday life more comfortable. I can also listen to my favorite radio station or music. Isn’t that just perfect? Besides, Alexa is even able to help me with emergency calls in case of an accident. That gives me a feeling of security. Which Alexa Skills would you like to see available in the Alexa Store? I find emergency call skills essential. I would like them to call someone or send me a message without additional costs in an emergency. I am also fascinated by interactive radio plays in which you can try out different action sequences. The listener decides by voice command how to proceed. I am also interested in skills containing knowledge and interesting facts. I see enormous potential here, for example, for the Federal Statistical Office. In my opinion, such offers absolutely belong in the Alexa Store. Also, I find those applications which turn voice assistants into the all-singing, all-dancing, all-rounder extremely exciting. These days we can already control the TV, listen to the radio, translate languages, shop or do math. You can get in touch with Steffen via his website. 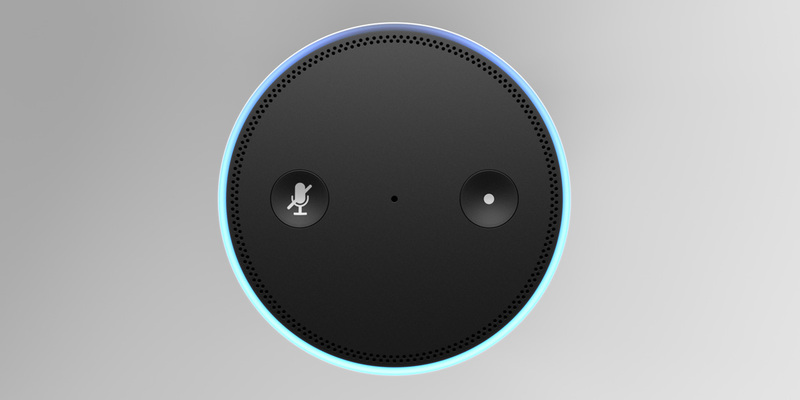 If you too want to be part of the voice design revolution, check out the CareerFoundry Voice User Interface Design Course, built in collaboration with Amazon Alexa. Want to learn more about designing for voice? Take a look at this ultimate beginner’s guide to voice design. Alexey Vidanov is a computer engineer and has decades of experience in IT. Recognising the opportunity to make a difference in a new platform, Alexey jumped at the chance to develop Alexa skills, learn about the ecosystem and teach others. He coaches and consults companies about VUI design, Alexa SDK and platforms.